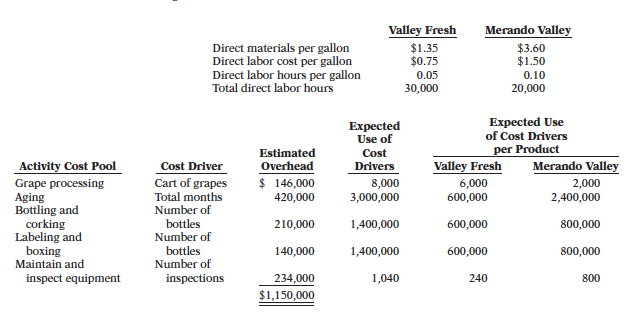 200,000 gallons per year of a low-volume, high-cost product called Merando Valley. inexpensive Valley Fresh line so it can focus more attention on the Merando Valley product. every 2,500 gallons; Merando Valley requires such maintenance every 250 gallons. on the use of cost drivers. Include a computation of overhead cost per gallon.